Worms are a favorite attachment for many anglers. They are easy to produce and to transport. But the worms quickly die in unfavorable conditions. How to keep them from fishing? There are several ways, differing in the length of time that you can save worms. To keep worms in a few days, they need to be placed in a metal container, which is undesirable to keep in the sun or exposed to wind. Sun and wind will contribute to drying and damage of the worms. Long-term storage in a tin will cause the worms will acquire a metallic smell, which will suppress the appetite of the fish. The Bank must have a sufficient number of holes in the bottom and the lid. It is impossible to fishing in a jar fell into the water. After you get a few worms for bait, put the jar in the shade. Save the worms for two weeks by placing them in a box. The best material for the box - tree. You can also put worms in a bag made of thick colored fabric. Pre-dip the bag in water and then press it. For better preservation of the worms in box or bag put a little damp moss and leaves. If the moss is hard to find, replace it with earth, which was taken by worms. The worms must not touch each other. Dryness and excessive humidity for them are equally harmful. In the rain, so worms do not crawl, they are stored in a dry place. Feed the worms sleeping tea or liquid food residues. 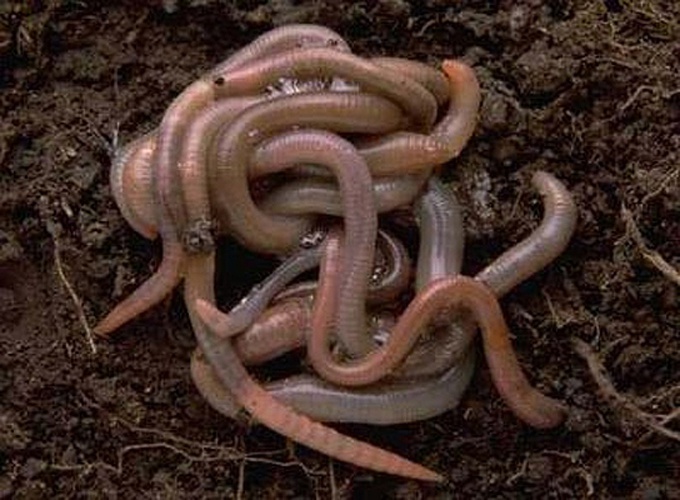 Fishing worms can be stored in dug a pit in the ground, the size of which depend on the number of worms and their shelf life. In the standard pit size of 0,5x0,5 m, can be stored up to two hundred worms within a month. To the worms didn't spread, the bottom of the pit is lined with mesh, it is Advisable to take chicken wire. It will pass excess water and to maintain the necessary humidity in the pit. Oilcloth for these purposes is not suitable, as it retains moisture. The pit must be filled with earth from the place where dug worms. To feed the worms can brew tea, coffee grounds or oatmeal. Covered worms and distributing them across the hole, lock it with a sieve, sprinkle the earth and firmly tamp around the edges.